CHEMCHINA AND PIRELLI: WHO WANTS TO BE NEXT? China National Chemical Corp, also known as ChemChina, agreed to buy Pirelli (PECI.MI), the world’s fifth-largest tyre maker, in a € 7.1 billion ($7.7 billion) deal. This operation will put the 143-year-old Italian company in Chinese hands, and take it private again after 93 years of public listing. The offer is expected to be launched at € 15 per share, valuing the Italian company at € 7.1 billion excluding net debt amounting to almost € 1 billion at the end of 2014. 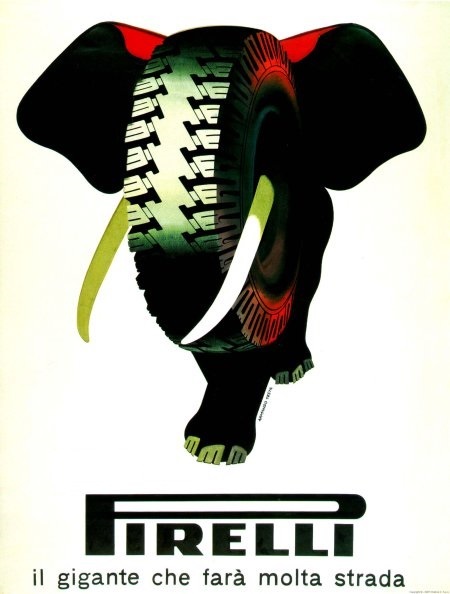 Pirelli was founded in Milan in 1872 by Giovanni Battista Pirelli and initially specialized in several industrial transformations, from rubber and derivative processes to the production of scuba diving rebreathers. Nowadays, Pirelli’s activities are mostly focused on the production of tyres after the sale of the cable division to Goldman Sachs in 2005. Pirelli is a multinational company based in Milan, Italy and listed on Milan Stock Exchange since 1922. The company is the world’s fifth-largest tyre manufacturer: its competitors are well-known names like Bridgestone, Michelin, Continental and Goodyear. Moreover, Pirelli can count on a broad presence in over 160 countries, 19 manufacturing sites around the world and a network of around 10,000 distributors and retailers. 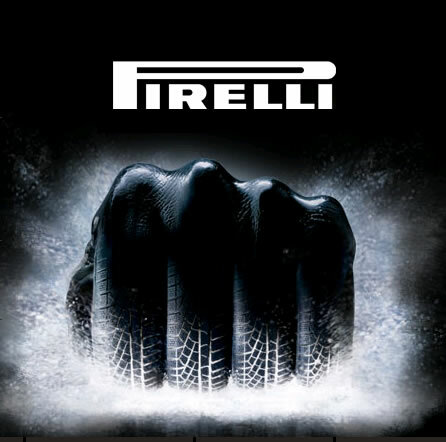 In addition, Pirelli ranks among the most profitable companies in the Tyre Industry (the EBIT margin in the Tyre Business s 13.4%). Although tyre manufacturing represents 99% of Pirelli’s revenues, the company has also tried to diversify. In fact, Pirelli operates also in the fashion industry with the project PZero, a high-tech sportswear brand, and it operates in renewable energy and sustainable mobility through Pirelli Prodotti e Servizi per l’Ambiente. In 2002, the company started to use its brand for consumer products (including clothing, watches and eyewear). The key to success for Pirelli in the tyre industry consists on its growing focus in the premium segment and a strong presence in the replacement division. This is reinforced with a balanced distribution of revenues amongst mature and high-growth markets, and production-cost minimization by basing manufacturing activity in countries with low labour-cost. ChemChina was founded in 2004 by Ren Jianxin. From the beginning, it specialized in agrochemicals, rubber, chemical materials, and petrochemical processing amongst others. After this deal, ChemChina plans to keep Pirelli’s existing premium tyre segment at the existing conditions, while consolidating the industrial tyre segment with its existing division in China. China’s automobile industry has expanded massively since China joined WTO in 2001. It has recently (since 2009) become the world’s largest producer and sales market for automobiles. Although its reserves of 137 million cars are relatively low when compared to other countries, we notice that the volume of new automobiles and reserves has good prospects and the Chinese tyre industry is expected to grow at a rate exceeding 15%. In addition, tyre replacement occupies two thirds of the demand for tyres in China and a high degree of vertical integration in the industry (mostly given by the fact that most of the players in this sector is state-owned) gives China a distinct competitive advantage with lower costs, leading to more competitive prices. ChemChina fits into this equation because it is China’s largest chemicals company and, by acquiring Pirelli, it shows the strength of its strategy and the potential upside for Chinese/Asian industry. ChemChina has a huge potential for growth and it is especially willing to exploit a predicted growth of the Chinese market in this industry. Finally, this deal seems to follow the recent trend of Asian conglomerates acquiring companies in Southern Europe to help them expand their end markets or gain access to the target know how. 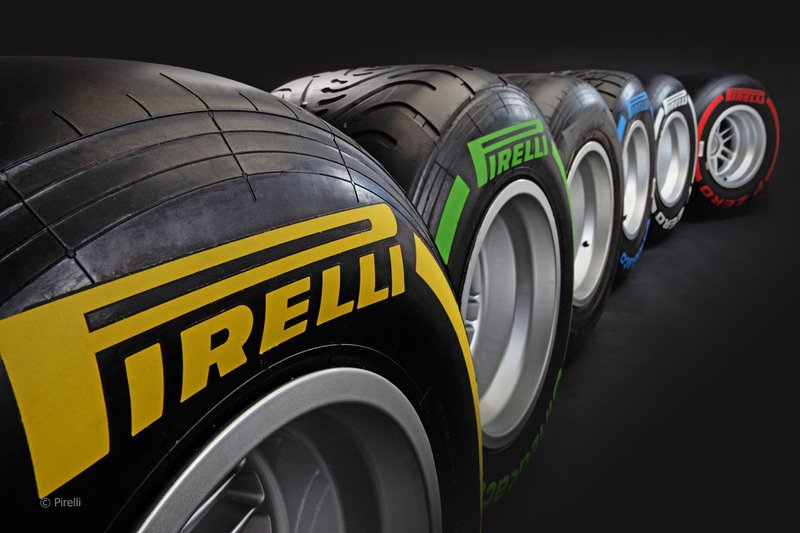 On March 20th, Camfin announced it was in talks to sell its stake in Pirelli SpA. The announced price of € 15 per share values the 26% stake at € 1,917.81 million and the whole company at € 7.1 billion. After two days, it was announced that Pirelli SpA was going to be totally acquired by China National Chemical Corp with a tender offer, after the initial purchase of the 26% controlling stake from Camfin SpA. This is foreseen to be the biggest deal in Italy by a Chinese company when concluded. On April 13th, CNRC, a subsidiary of ChemChina, said in a statement it would purchase the 1.57% stake from Edizione Srl (holding of the Benetton family) for € 15 per share, which is the same purchase price it agreed to for the stake controlled by Camfin. CNRC’s agreement with Edizione also contemplates the sale of convertible securities representing about 3% of the share capital of Pirelli, indirectly held by Edizione Srl through Schematrentaquattro Spa. The acquisition has involved ChemChina paying approximately € 1.9bn for the 26% stake in Pirelli owned by Camfin and then it will require launching a bid to buy the rest of the tyre maker’s stock. Camfin is the holding company indirectly controlled by Pirelli chairman and chief executive Marco Tronchetti Provera together with Rosneft and Italian banks Intesa Sanpaolo and Unicredit. The agreement of Rosneft (owner of 50% of Camfin shares via Long Term Investment, therefore controlling 13% of Pirelli indirectly) has been obtained and the Russian group is expected to remain a shareholder in the new entity. Some other shareholders – particularly the Malacalza family (7% of the capital) which declared it is not going to tender its shares – may be more difficult to convince. Still, the current CEO can claim the support of most shareholders, and the ones that could dislike the deal do not seem to have the capacity to block the takeover process, but could delay the delisting of Pirelli, which is desired as part of the group’s reorganization. The shares acquired will be integrated into Bidco, a holding company controlled by CNRC that will launch a mandatory tender offer (since it has reached the required 30% stake in the company, which is the legal threshold in Italy) in an attempt to acquire all of Pirelli shares after the completion of the Camfin agreement. Its agreement with Camfin is expected to be completed by the end of summer. The offer will be backed by a loan granted by JP Morgan, Intesa SanPaolo and Unicredit in two tranches: € 2.4bn at target level and then € 4.4bn at Bidco level. After the announcement of the deal, the price of Pirelli has grown to reach € 15 and it is now trading above the initial offer value. JP Morgan and Rothschild are the banks advising ChemChina in the process and Lazard is the bank chosen by Pirelli. This deal is structured as a multi-stages transaction. Firstly, ChemChina will acquire the whole participation of Camfin in Pirelli, approximately a 26.2% stake that will result in the company founded and still managed by the 57-year-old Ren Jianxin being Pirelli’s relative majority shareholder. The abovementioned scenario will be reached through a complex process in which a pivotal role will be played by CNRC Marco Polo Holding, the Italian law Bidco that will effectively acquire Camfin’s stake in Pirelli and, in the second stage of the deal, will launch a voluntary totalitarian tender offer on the until-today-italian tyremaker. Indeed, the declared aim of the parties is to proceed with a delisting of Pirelli from the Italian Stock Exchange, in order to maintain a greater flexibility, at least in the first years of the marriage. According to Italian sources, a Newco called CNRC International Italy has already been incorporated in Luxemburg; if the tender offer will be successful, ChemChina will detain the 65% of this newly created vehicle, with Mr. Tronchetti Provera and his Italian partners plus the Russians of Rosneft being the owners of the remaining shares. The cost for the whole transaction is estimated to be around $7.7 billion, $1.9 billion being just for Camfin’s 26%. The headquarter of the resulting company will still be in Italy, a provision that could be possibly modified only with the consent of a number of shareholders representing the 90% of the outstanding capital. Mr. Tronchetti Provera will be the CEO for the next five years, and he will have the power to nominate his heir. Turning to the governance, 8 directors – President with double voting power in case of ties included – will be appointed by ChemChina, while others 8 will be nominated by the Italian-Russian minority shareholders. The legal advisors for this extremely intricate deal were Pedersoli and Clifford Chance for the Chinese buyer, Chiomenti and Lombardi Molinari Segni for Camfin and finally Linklaters for Rosneft. In the days after the announcement, some commentators with high reputation in terms of independence and expertise have criticized the role played by Mr. Tronchetti Provera and his being on both sides of the table during the negotiation. In particular, they have questioned his acting in the best interest of Pirelli as such and have suggested that possibly other solutions could have been more beneficial for Pirelli’s stockholders, or at least they advocated for the necessity of an independent special committee to act in situations like that. Nevertheless, Mr. Tronchetti Provera has firmly rejected any allegation, and he repeatedly declared that the chosen solution is absolutely the best one for the company, its shareholders, its employees and all its stockholders. The acquisition will create long-term industrial value in the tyre sector; ChemChina will have access to technology to make premium tyres, which can be sold at higher margins, and could help China to develop its automotive industry. At the same time, ChemChina could get greater access to the €opean market while boosting global sales. At the same time, Italian tyre maker Pirelli would have more bandwidth to compete against larger rivals such as Michelin and Continental , which are looking for growth in Asia. Moreover, Pirelli’s less profitable truck and industrial tyre business would be folded into ChemChina’s listed unit Aeolus, allowing it to double its output. The partnership with a global player like ChemChina, through its affiliates, represents a great opportunity for Pirelli. CNRC’s approach to business and strategic vision guarantee Pirelli’s development and stability. We are delighted with the opportunity to team up with Mr. Marco Tronchetti Provera and his team to continue to build together a world class organization and a market leader in the global tyre industry. The transaction sends the clear message that the company’s focus is on global growth and this guarantees ChemChina a slice of an industry dominated by the major European, American and Japanese tyre brands. With 10 deals completed since the start of 2014, Italy is the fifth-largest acquisition market for China worldwide.